In the winter you spend the least amount of time thinking of your lawn. Unless you live in an area that is relatively warm all year long(like us), chances are you have put the lawn mower away and are ready for a few months of relaxation before you have to start the grass maintenance routine again. Late autumn or early winter is the best times to fertilize your grass. Since the majority of the lawns in Cyprus have similar grasses, it is a good bet your yard has a typical Cyprus grass. Before the first cold, give your lawn a thorough fertilizing to replace all of the nutrients that can be lost from the soil during the hot summer months. Once the weather turns cold, the fertilizer will remain in the soil and feed your grass’s roots all winter long. When spring comes your lawn will be full of healthy, lush, green grass that has been feeding on good fertilizer nutrients underneath the cold. During the last month of the summer you should gradually lower the cutting base of your lawn mower each time you mow the grass. Slowly cutting your grass shorter will allow it to winter well without shocking it by cutting it all off at once. If you leave your lawn too tall during the winter months it will be prey to rodents and other burrowing animals that want a warm place to sleep. Rodents can destroy large parts of your lawn by building nests. They create dead spots where they spend all of their time as well as pulling up large amounts of grass to build their structures. It is easy for items to be left on the lawn during the winter when no one goes outside very often. Stray logs, toys, and even lawn furniture can be accidentally overlooked before the first cold weather comes. Keep your sidewalks cleared so that you and your guests won’t be tempted to cut across the yard very often. Never allow anyone to park a truck or a car on your lawn. Even the smallest vehicle will leave impressions in the soil and kill off the grass that is underneath the tires. Using the lawn as a parking lot is the fastest way to kill the good grass and make room for many types of weeds. There really is not much grass care that needs to be done during the cold months of winter. 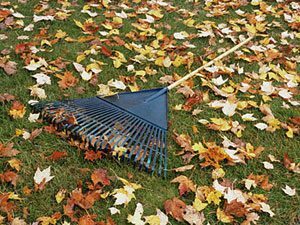 If you properly prepare the lawn during the autumn, it will be fine until the warm days of spring arrive once more. Make sure you aerate, fertilize, and mow the lawn before the first cold spell of the season. Once you have taken care of everything that needs to be done during the autumn you will be ready to enjoy a nice cozy winter indoors with your family before lawn care season begins again in the spring.